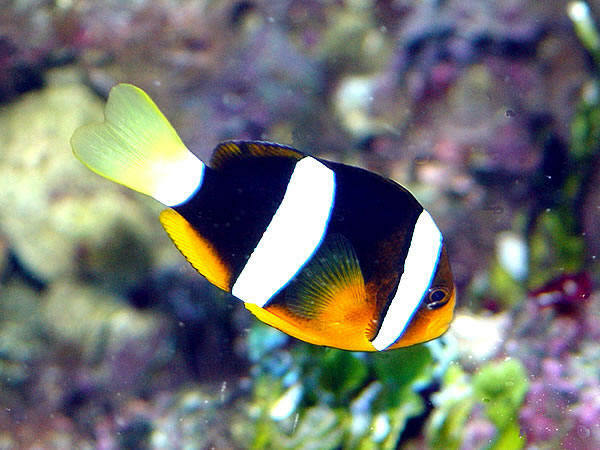 Clark's clownfish lives in couples, occupying several different anemones and straying some distance from them. It is one of the easiest to acclimatize. The male is distinguished by its yellow caudal fin (white in the female). Size: 15 cm.